Springer Nature is an academic publishing company formed in 2015 by the merger of Nature Publishing Group, Palgrave Macmillan and Macmillan Education (held by Holtzbrinck Publishing Group) with Springer Science+Business Media (held by BC Partners). 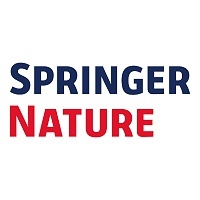 Springer Nature is the world’s largest academic book publisher, publisher of the world’s most influential journals and a pioneer in the field of open research. The company numbers almost 13,000 staff in over 50 countries and has a turnover of approximately EUR 1.5 billion. Springer Nature was formed in 2015 through the merger of Nature Publishing Group, Palgrave Macmillan, Macmillan Education and Springer Science+Business Media.